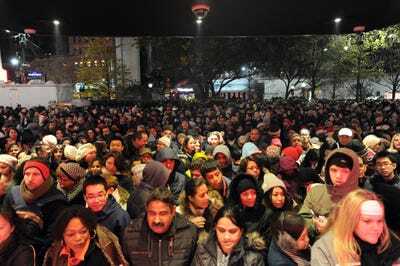 REUTERS/Andrew KellyShoppers wait to enter Macy’s to kick off Black Friday sales in New York November 27, 2014. Some 140 million shoppers are expected to line up this weekend, the most popular shopping weekend of the year in the US. It is estimated that these shoppers will spend over $US36 billion during the course of the weekend. By Friday morning, Wal-Mart had already seen 22 million customers pass through its doors, the company said. Here’s what the crowds looked like around the US. Many lined up hours, or even days, in advance. 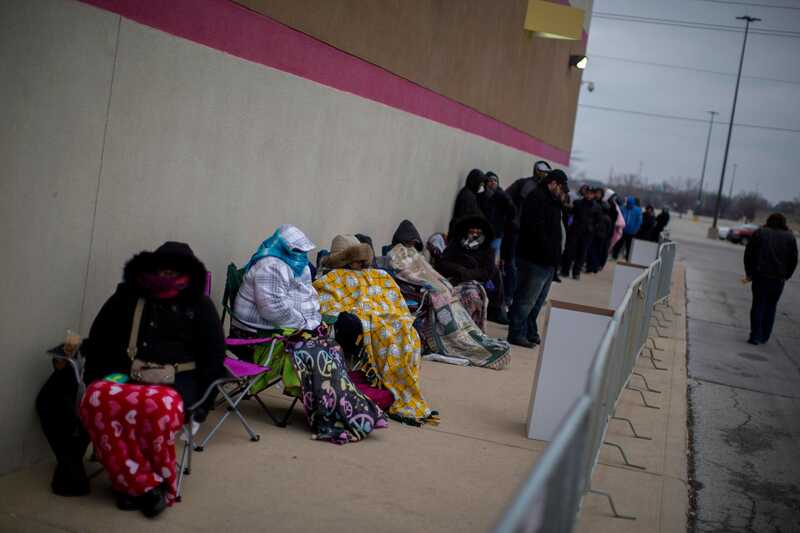 These intrepid folks braved cold temperatures in Indianapolis, Indiana to take advantage of the deals at a local Best Buy. 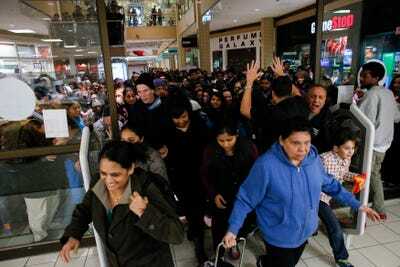 As doors opened at this JCPenney store in Newport, New Jersey, consumers rushed in to grab the best deals on limited supplies. These types of mad dashes can be dangerous at times. The morbidly titled website BlackFridayDeathCount.com counts seven deaths and 90 injuries due to Black Friday crowds since 2006. 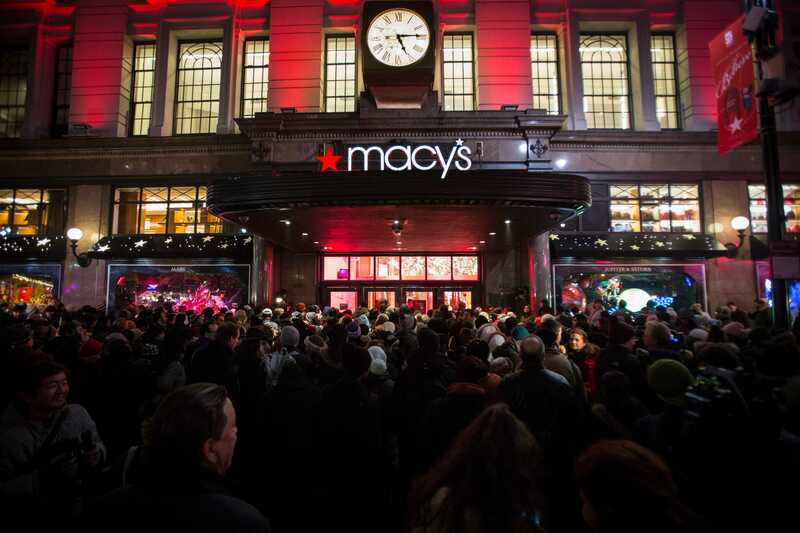 Macy’s opens its doors at 6pm for Black Friday on November 27, 2014 in New York City. It’s reported that retailers will hire between 725,000 – 800,000 seasonal employees to meet the demands of the massive shopping weekend. 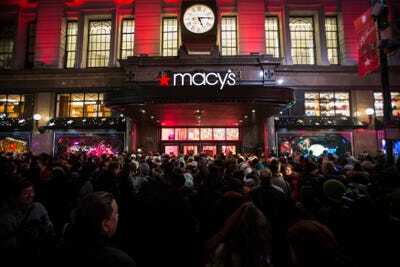 People carry shoes in Macy’s during Black Friday sales in New York November 27, 2014. 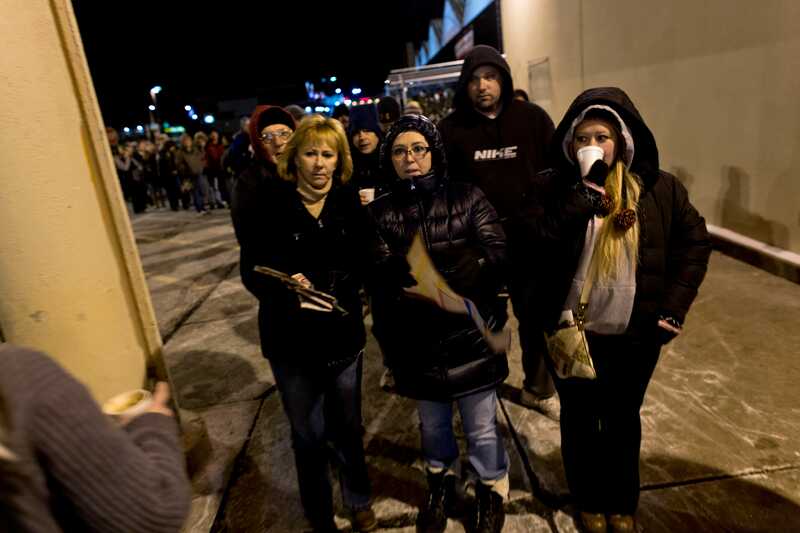 While according to a National Retail Federation poll, almost half of all holiday shopping will be done online, the lines at this West Allis, Wisconsin Home Depot still stretched around the block. Same goes for this New Jersey Best Buy, which opened on Thanksgiving evening at 5pm, ahead of many other Black Friday retailers. 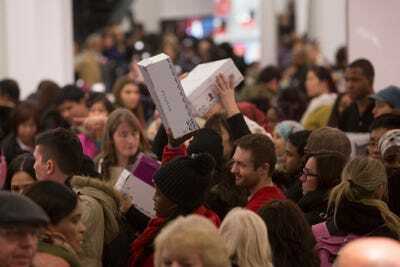 It’s estimated that per-person spending this holiday season will be around $US804.42, up 5% from the $US767.27 consumers spent per person last year, according the NRF. 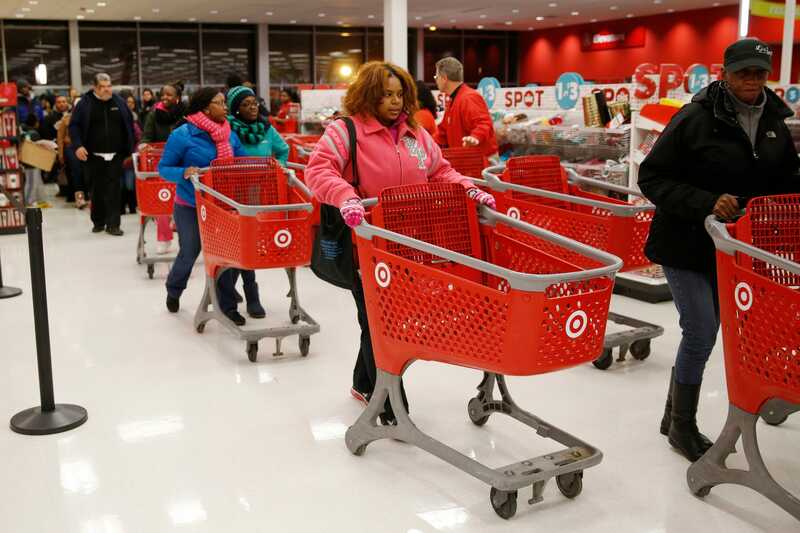 Thanksgiving Day shoppers line up to start shopping at a Target store in Chicago.